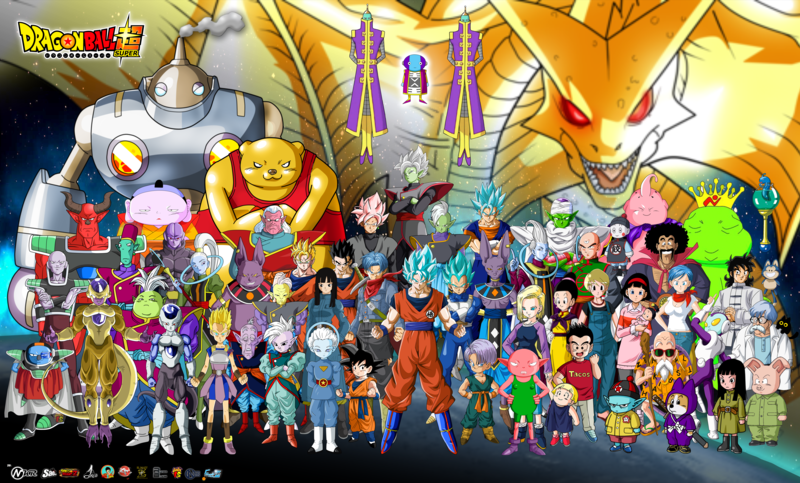 Chi Chi Android 18 and that pig are pasted into the wallpaper they donot blend in with the rest. Looks great, though I would have considered correcting the aliased effect on the dragon. Is there a reason future Zen is missing? Maybe because he is the same guy. Anyhow, great job. It takes a bit of work to capture everyone. You even remembered Yamcha! J' adore c' est trop beau,flicitation!